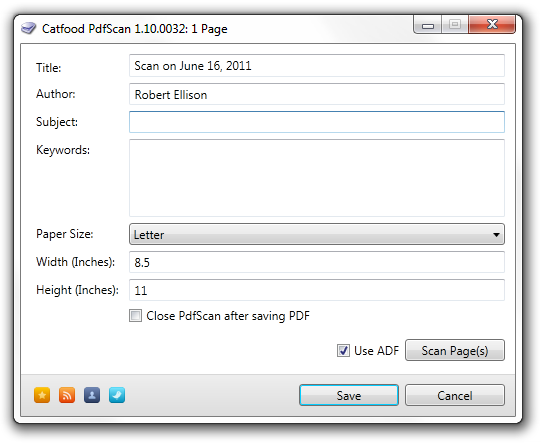 PdfScan is a simple tool for scanning pages into a PDF file. You can scan single pages from a flatbed scanner or several pages from a document feeder. The page size applies to both the scan and the page(s) added to the PDF. I wrote PdfScan because I know I'm going to be scanning a lot of documents over the next couple of weeks. Previously I used a tool called ScanToPDF from O Imaging but their licensing pissed me off so much that I'd rather waste time reinventing the wheel than pay them for another copy. This is a beta — it works with my scanner and my documents. There's no installer, so extract the ZIP file and run the EXE to use it. PdfScan requires the .NET 4.0 Framework. If you get an error when you run PdfScan.exe try installing .NET 4 and then run it again. 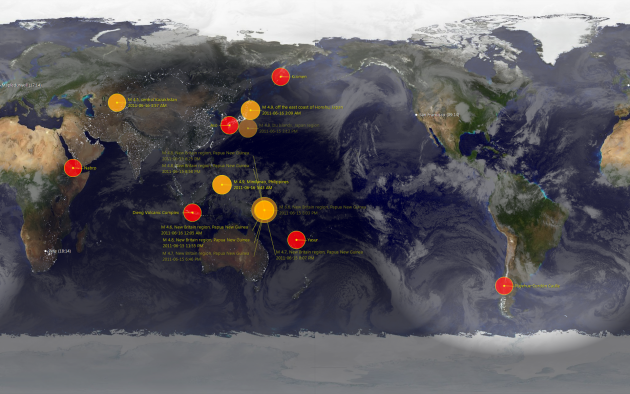 If enough people use this I'll make it a bit more friendly, add an installer and release it through Catfood. If you like it leave a comment below. If it doesn't work for you leave a comment or email me and I'll try to help. PdfScan uses PDFsharp from empira Software. Thanks chaps!